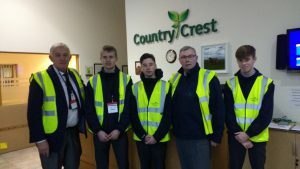 Country Crest Supporting PCS Project. 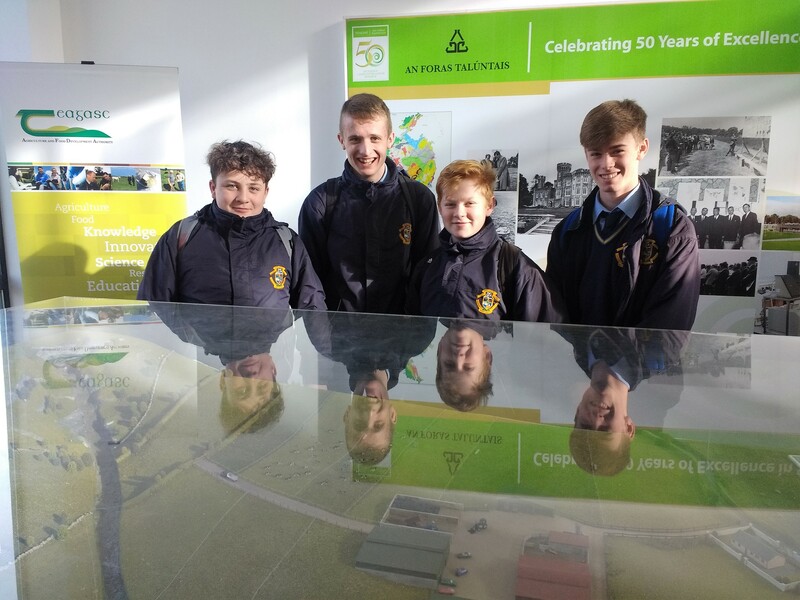 Josh Tighe Fitzgerald, Aaron Cullen and Adam Doyle visit Country Crest North County Dublin growers and food producers. 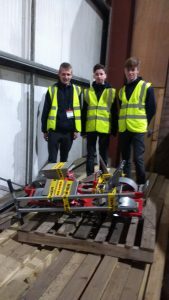 Tony Doyle and Country Crest are helping students prepare their project for YSI titled ‘Low Till High Tech’. 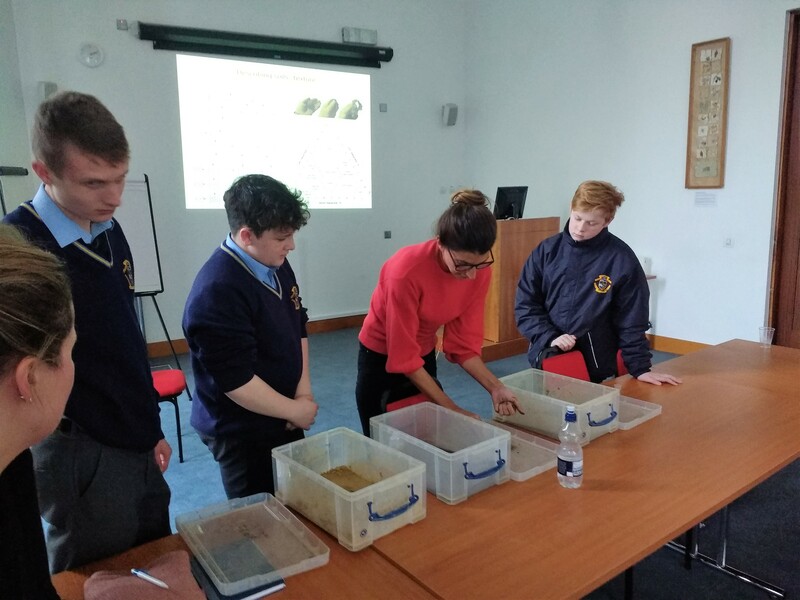 The project looks at soil types and tilling and seed planting. 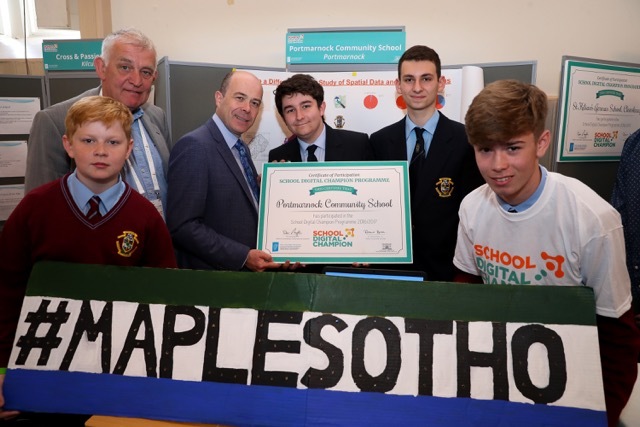 Country Crest will recycle an old bicycle into a plough and the students will create a soil map of Lesotho. Visit to Teagasc, Johnstown Castle, Wexford for the study of soil maps. 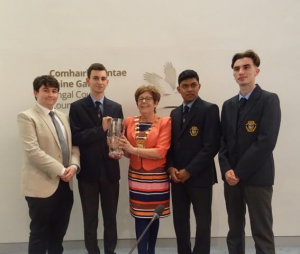 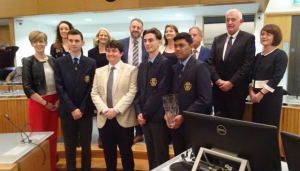 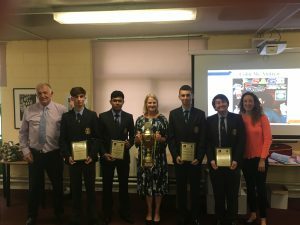 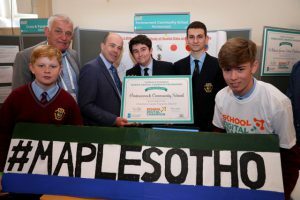 The Mayor of Fingal Cllr Mary McCamley made a special presentation to PCS students whose Lesotho mapping project won the SAGE World Cup for social innovation. 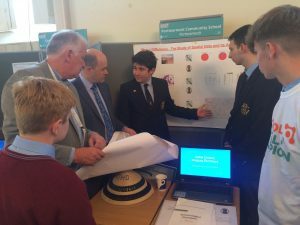 The team pitched to the Responsible Innovation Summit in Corke Park and got feedback from world leading Social Entrepeneurs. 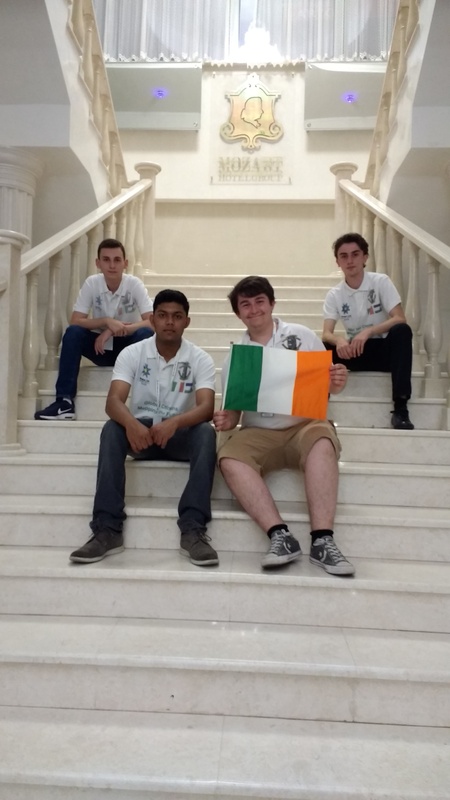 Congratulations to our Young Social Innovators Ahmed, Ravi, Luke and Colin who came first in the Sage World Cup 2017 in Odessa. 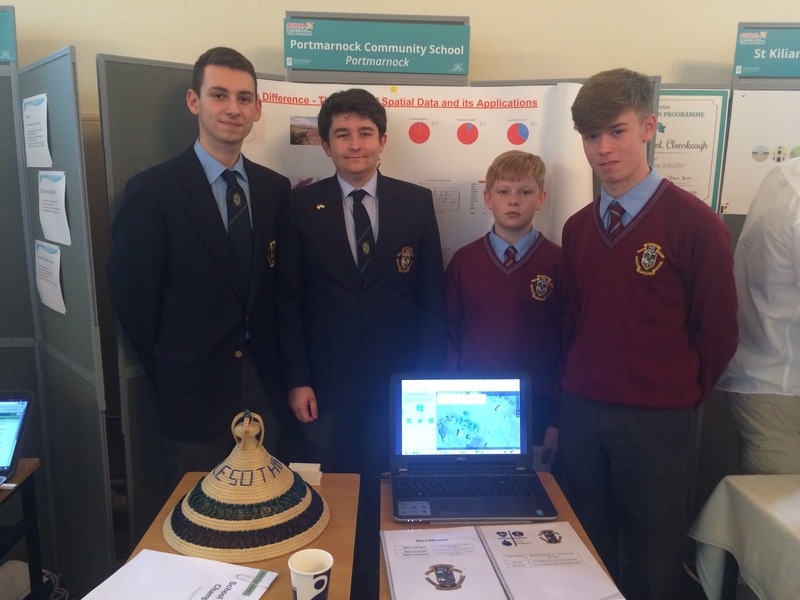 Their project was developed from their online mapping of Lesotho and focuses on apps to assist the emergency services. This is a massive achievement for the team and is a result of very hard work and support from their mentors Ms Cronin and Mr Fitzgerald. 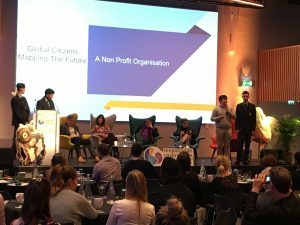 Well done to our student team of Global Citizens Mapping the Future who won the Step Up Challenge Category at the Young Social Innovators Final in the National Conference Centre this week. The team also participated in the Digital Champions Event in DCU (see below). Special thanks to Mr Fitzgerald and Ms Cronin their mentors. 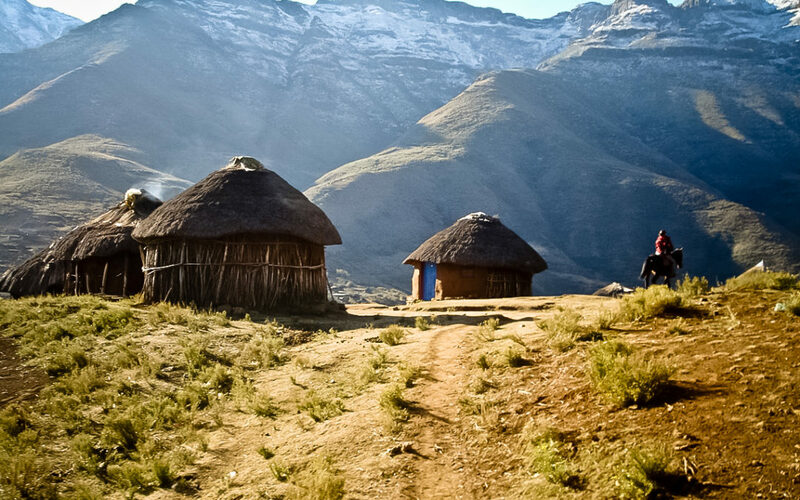 A look back at Lesotho 2017. 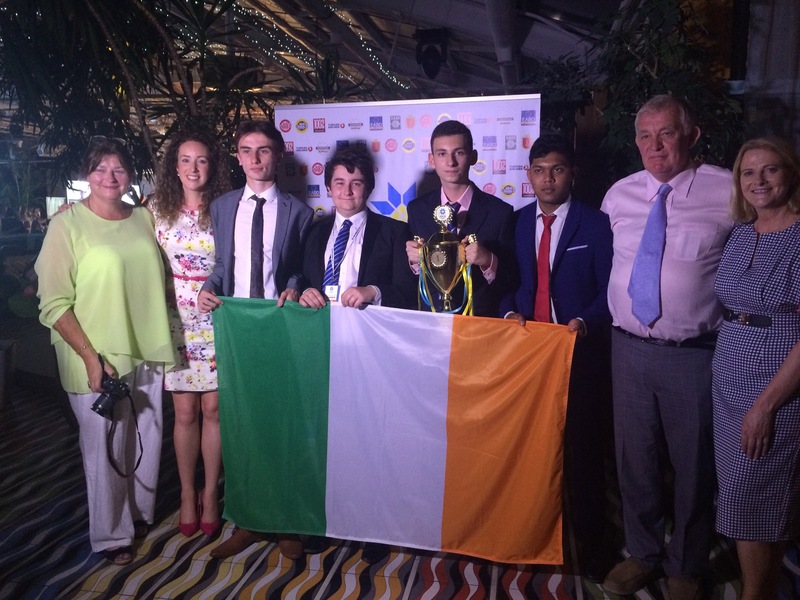 Bon Voyage to Action Ireland. The best of luck to our TY students, parents, teachers and members of the Action Ireland Team who depart to Lesotho on Friday morning 10 February. The whole school community wishes you a safe, productive and joyous trip. You can follow their daily activities in the blog which can be accessed above and here.